Posted on Friday, April 20, 2018 by "T". 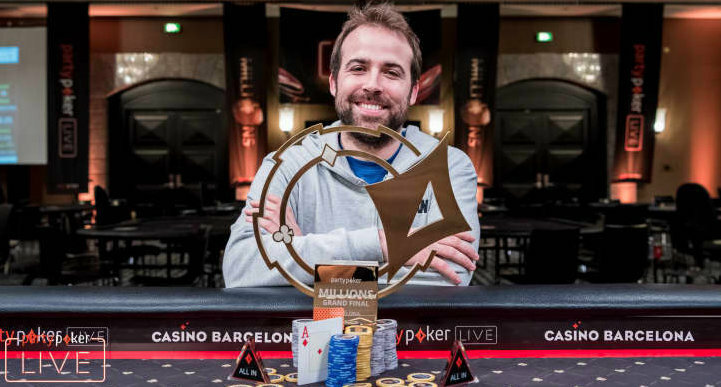 Imagine a battlefield of 1,175 talented poker players and being the last one standing to win the title and a prize worth €1.7 million...that's what Canadian Pascal LeFrancois did at the 2018 partypoker LIVE MILLIONS Grand Final Barcelona €10,300 Main Event! The event featured a humongous €10 million guarantee, and that number was easily surpassed when 1,175 players signed up, bringing the final prize pool to €11,397,500! The prize money €1,700,000 (around $2,108,000) is by far the 31-year-old Canadian Pascal LeFrancois' biggest payday of his career. His previous best win was back in the 2010 World Series of Poker Main Event in which he finished 11th for $635,011. That same summer, he won a $1,500 NLH event at the WSOP, earning him a bracelet plus $568,972. Thanks to this most recent win, the former WSOP bracelet winner's lifetime live tournament earnings is now at $5,142,717. LeFrancois surely did not just breeze by this event, as he had to face off with some of the game's top pros such as Jake Schindler and Sam Greenwood. Star players who were blessed enough to land at the final table were 2016 MSPT Venetian champion Thomas Boivin, 888poker ambassador Dominik Nitsche, recent partypoker LIVE MILLIONS Grand Final Barcelona High Roller winner Davidi Kitai, US Poker Open MVP Stephen Chidwick, chip leader Pascal LeFrancois and the short-stacked Adam Owen. Others who were able to cash the Main Event were: Sam Trickett (35th for $49,436), Philipp Gruissem (22nd for $61,683), Byron Kaverman (16th for $80,188), and Sean Winter (11th for $123,365). The next huge partypoker LIVE event is the MILLIONS North America Main Event, scheduled in May at the Playground Poker Club. 10 comments for "Partypoker LIVE MILLIONS Grand Final Barcelona Main Event won by Pascal LeFrancois for €1,700,000"
I can only think of reality. I would have only a chance of 100,000 to win such a tournament. You can not fight with so many very good players because they only know how to fold, fold or fold when you have a good cards. 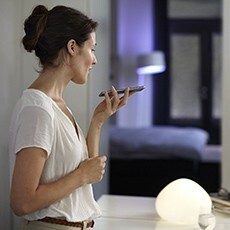 Are experienced players and we remain with imagination. Too many players to win that tournament. I dont know a single one from the final table winners.
"' a life changing 1st prize of 1.7 millions of euros..."' (pochui) is for a normal person with head on his shoulders.For a gambler is something to worry a lot,and many sleepless nights. you can win a sum of money but to learn to play poker as these professionals are very hard. Young players can do it but we who have 37-38 years we have other obligations and not much time to lose with strategy. There are some exceptions with people who have more time but for most not. Massive congratulations must go out to Pascal LeFrancois from Canada on winning the main event and earning €1.7 million. I bet he is still on cloud nine! It must have been exhilarating for his friends and family as well.